HD Downloader can download UHD 8K, 5K, 4K, QHD 2K, FHD 1080p, HD 720p, and 3D videos from YouTube if they are available. It also supports playlist download. It automatically downloads all videos in the specified playlist for you, and can convert videos to MP4, FLV, WMV, MOV, AVI, MKV, MPG, OGV, VOB, WEBM, or any other format for any device, so you can watch them on your iPhone, iPad, Android phone, Android tablet, Windows phone, Xbox, PS4, Samsung Galaxy, etc. HD Downloader allows you to download only audio stream from YouTube without downloading the entire video file. It also allows you to extract audio stream from video and save it as MP3, WAV, WMA, AC3, AAC, OGG, FLAC, or other formats available. Now you should know what this program is for and whether you want to keep it in the system. By installing it, you will also get other two programs: HD Player and HD Converter. 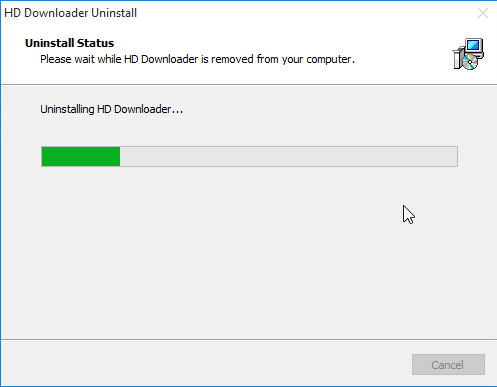 Uninstalling it will also clean out these two. 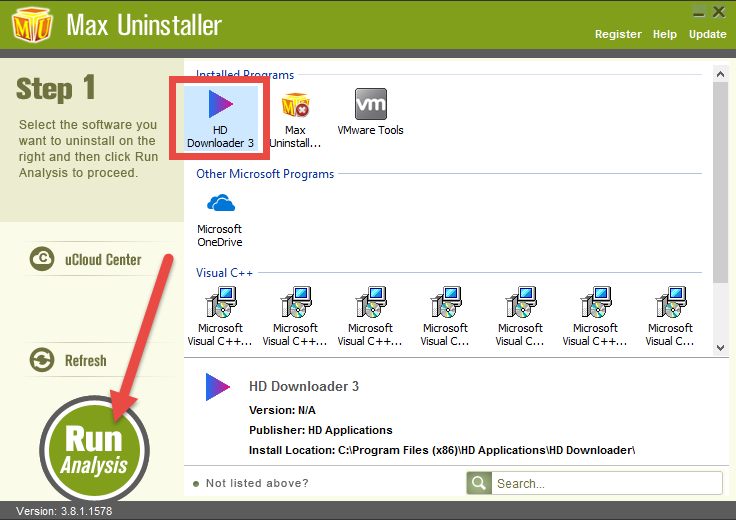 If for some reason you need to remove HD Downloader at this moment, you can refer to the following guides for the proper uninstall steps. This one is currently the most common version, accounted for over 75% in all installations. During the installation process, it adds registry entries for the current user account of the computer, so that each time Windows loads (the schedule varies depending on the program version), the program runs automatically. Knowing this may help you understand and better perform the steps to remove HD Downloader. 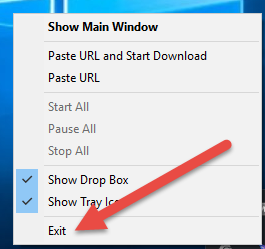 Check the System Tray in the bttom-right corner of your screen, if you see the icon of HD Downloader, right-click on it and select Exit/Quit/Close/Shut Down. Then right-click on the Taskbar and select Task Manager to check whether there is any related processes that are running in the background. If there is, select it and click End task. 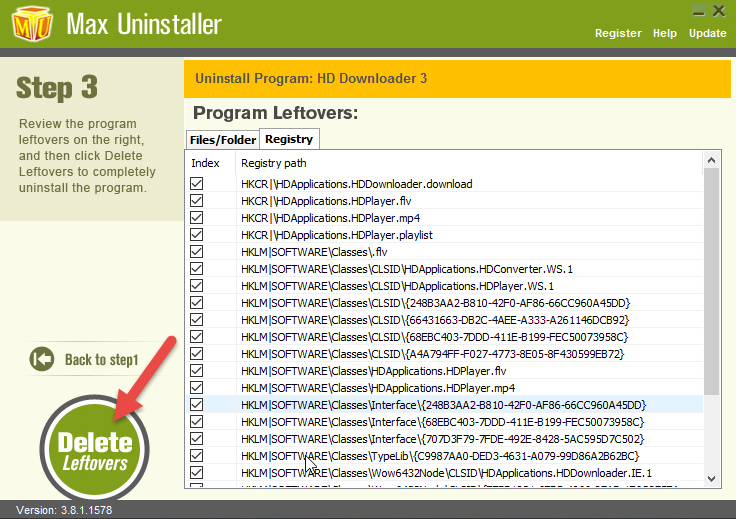 In the list, locate HD Downloader and double click it to start the removal. Just follow the prompts to proceed, and it will automatically finish the removal within a few minutes. But you’re not done just yet. 4. Its registry keys are still staying on your system, you need to manually hunt them down. Windows 8: Press and hold the Windows key + C on your keyboard, and you will see the charms bar on the right. Select Search, type “regedit” in the box and select it to open the Registry Editor. Windows 10: In the bottom-left corner of your screen, you can see a search box on the taskbar. Enter “regedit” to open the Registry Editor. 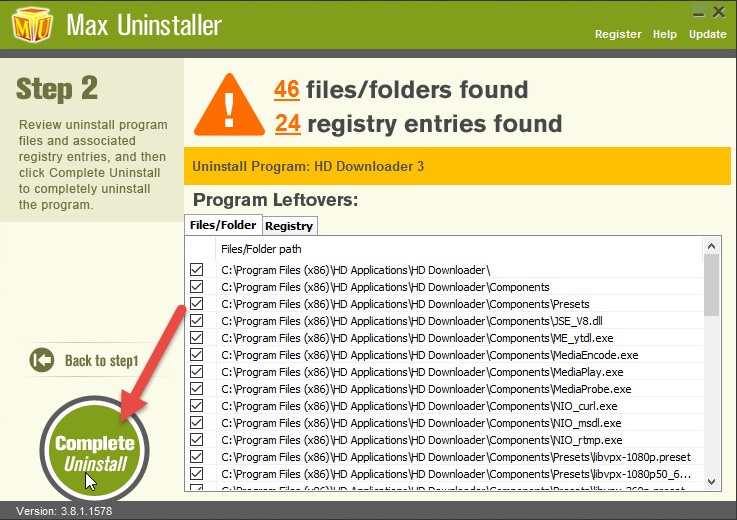 Then click Edit > Find…, and enter “HD Downloader” to check if there is any other remaining files to delete. Find HD Downloader in the list of Step 1 > Select it and press Run Analysis on the left to scan > keep all diplayed items checked and press Complete Uninstall. 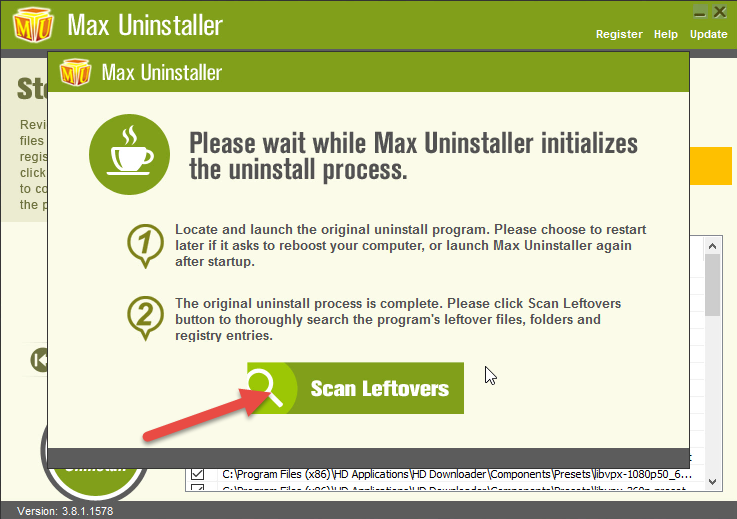 Wait until this part finishes and the below green Scan Leftovers button turns into green > Click on it to proceed with the removal > The registry keys will be presented > keep all of them checked and click Delete Leftovers to completely remove HD Downloader.